Mexico international Carlos Vela is rooting for clubs in the Liga MX during this season’s CONCACAF Champions League. The 29-year-old became Los Angeles FC’s first recruit late last year, but he is still hopeful that his native country’s clubs prevail in the Champions League. Three MLS clubs — the New York Red Bulls, Seattle Sounders, and Toronto FC — presently have their upper hand over their Liga MX rivals, but the tie is very much on with a second leg left to play. Mexico international Carlos Vela believes international players featuring in the MLS are better prepared for the summer World Cup in Russia. A number of El Tri’s players in Mexico and other European leagues ply their trade on a fall-to-spring calendar, and this sees them with an extended schedule ahead of the global tournament. 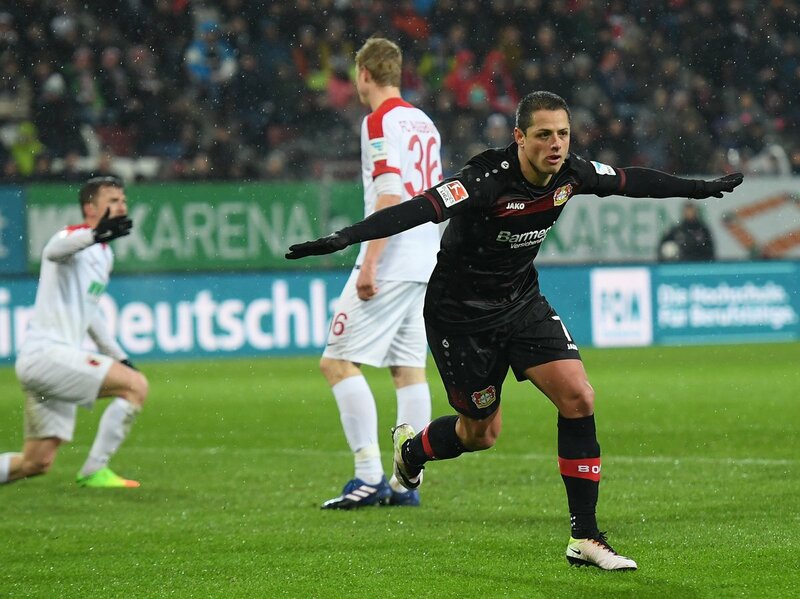 Javier Hernandez has set high expectations with Mexico for this summer's World Cup finals in Russia. The 29-year-old has not had a fond time since his move to West Ham United last summer, but he still remains a crucial player for the El Tri in the frontline. In a report covered by Goal.com, Hernandez admits that the nation are aiming to achieve greater heights at the global tournament with the current side oozing with genuine attacking threat. Mexico have struggled to progress beyond the quarter-final stage of the World Cup, but Hernandez is hoping to reach the final and even win the showpiece tournament. 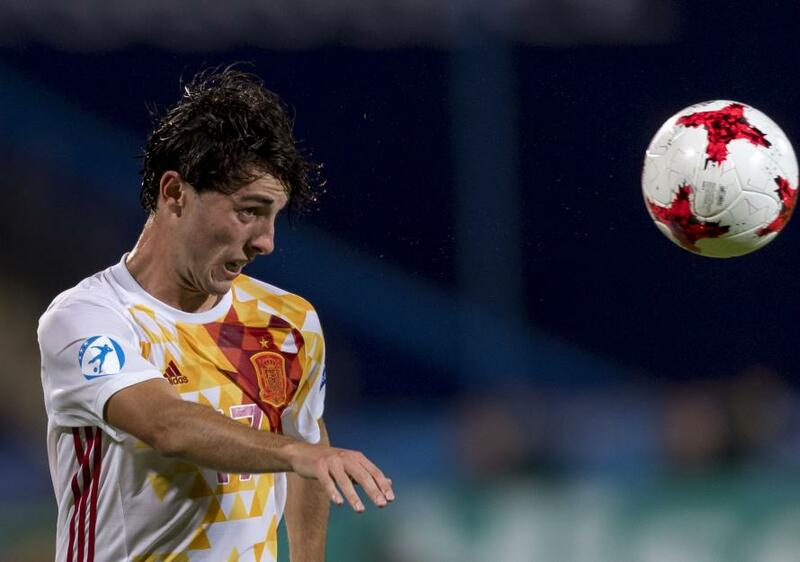 Real Sociedad’s Alvaro Odriozola has been consistently linked with a move to Real Madrid, but the club’s sporting director Lorenzo Juarros claims that Real Sociedad have no intention of selling the player for anything lower than his buyout clause. The incredible form shown by Odriozola so far this season has been ramping up the transfer speculation. It is reported that Real Madrid manager Zinedine Zidane has identified Odriozola as a great player who can improve the Madrid squad, which has come under fire for a large set of mediocre performances this season. Spanish football has buyout clauses for most of the players and Real Sociedad’s sporting director is adamant that the club will not sell Odriozola for anything less than his buyout clause. It is reported that the release clause for the player currently stands at a whopping € 40 million. The 21-year-old came through the ranks at Real Sociedad and has featured in 12 appearances for the team this season. In these two league appearances, he has contributed four goals as assists. Even though he is yet to open his scoring record, the impact that he has had on the team is quite evident. The right-sided midfielder has a contract with Real Sociedad until 2022, thus putting the club in a strong position with regard to negotiating any transfer fee. Liga MX champions Chivas were beaten to Carlos Vela's services by incoming MLS club Los Angeles FC, club CEO Jose Luis Higuera has revealed. The Real Sociedad forward will link-up with the California-based club in the New Year ahead of the 2018 campaign. Speaking to ESPN, Higuera admitted that his side had been 'very close' to sealing the signature of Vela, but they were outbid by Los Angeles FC, who lured the attacker with their financial power, he said: "We made contact with Vela and we were very close, but if they beat you to it, they beat you to it. We can't compare ourselves or be irresponsible with the people, we don't have the economic power of MLS. The day that MLS decides to go for Europeans and to have a Champions [League], they have the power and money to do it and players dance for money. Players don't play and then see if they get paid, and even less so these days." Real Sociedad attacker Adnan Januzaj is determined to shake off his critics with consistent performances in the Spanish La Liga. The Belgium international joined the Basque outfit from Manchester United on a permanent deal in the summer. The 22-year-old was regarded as one of the most promising youth talents in world football after making his breakthrough under David Moyes at Old Trafford in the 2013/14 season. However, the attacker failed to impress Moyes' successors Louis van Gaal and Jose Mourinho and eventually sealed a permanent move to Sociedad in July. 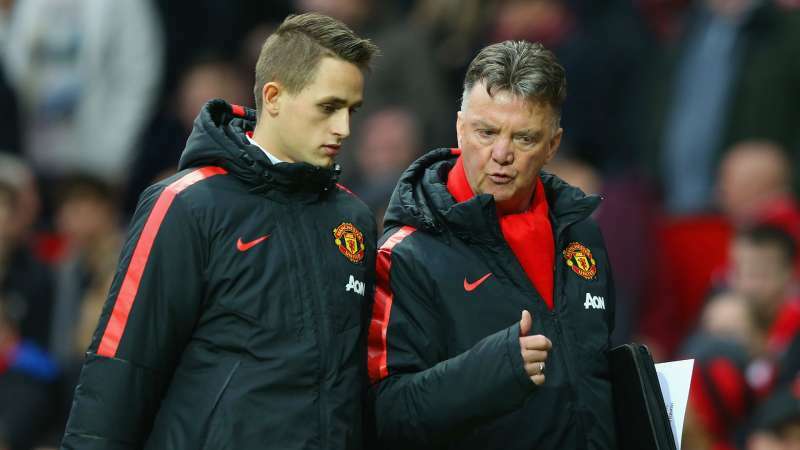 Belgium international Adnan Januzaj has spoken on his shrewd relationship with former Manchester United boss Louis van Gaal and plans to dedicate his first goal for Real Sociedad to the Dutchman. The 22-year-old made his move to La Liga from the Red Devils last month after he fell out of favour under Jose Mourinho. Mexico international Carlos Vela has been introduced as Los Angeles Football Club's first designated player ahead of their Major League Soccer debut next year. The 28-year-old was approached to join the expansion franchise several weeks ago, and he has now admitted his surprise at being the first player in the squad. AS Roma's sporting director Monchi has insisted that the club are not in the hunt to sign Carlos Vela during this summer's transfer window. The Mexico international has been a consistent performer for Real Sociedad for the past couple of years, and this led to a suggestion that he could join Giallorossi after having entered the final year of his contract. For a price tag of €2 million, Real Sociedad managed to secure the services of the Mexican winger Carlos Vela in a transfer that was confirmed on August of 2012. 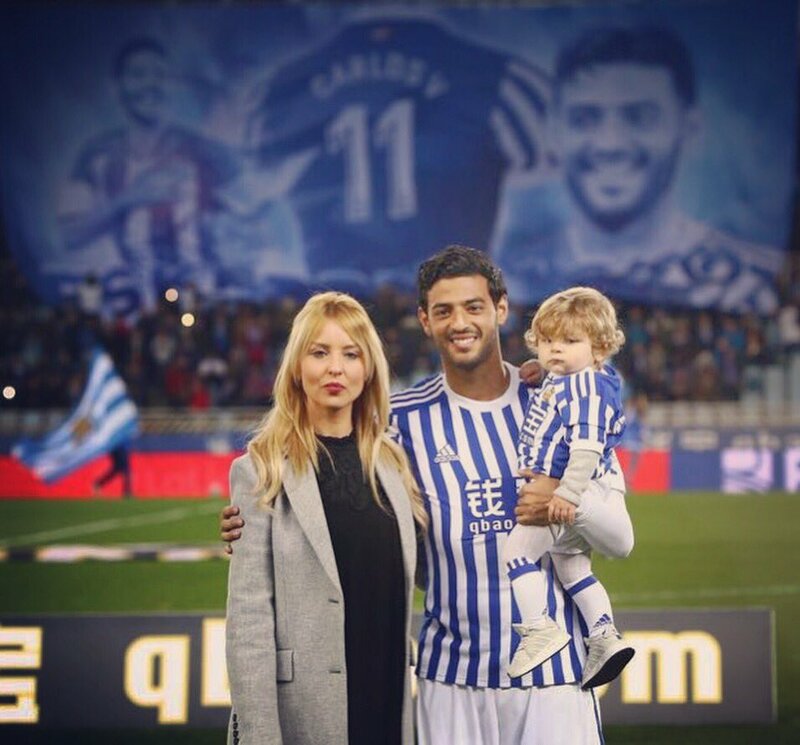 Carlos Vela has turned out to be one of the best signings of all time for Real Sociedad as the Mexican performer is a standout player who has been named as the best player of the club on 2 occasions.